Dance Commentary by Heather Desaulniers: San Francisco Ballet - "Contemporary Voices"
San Francisco Ballet - "Contemporary Voices"
Pioneering design, provocative narratives, penetrating choreography – this creative triangle is everywhere in San Francisco Ballet’s Contemporary Voices, the fifth program of the 2017 repertory season. Perhaps one of the best curated triple bills in recent SFB history, Contemporary Voices joins the return of Choreographer-In-Residence Yuri Possokhov’s 2008 work, Fusion and an encore of last year’s Fearful Symmetries by Liam Scarlett with the premiere of Arthur Pita’s Salome. As its title suggests, Possokhov’s Fusion invites its viewers to experience a bond, a connection, a true layering of realities. And through its physically demanding choreography, thoughtful thematic thread, and perhaps even a little whimsy, Fusion more than delivers on that invitation. The ballet opens with a quartet of men in flowing white (costume design by Sandra Woodall), which as the program notes reveal, draw inspiration from Whirling Dervishes. In this first choreographic statement, these four cycle through a meditative movement practice – isolating torsos, soaring jumps, arms swirling through the space. Four women then enter the scene from upstage, accompanied by four more men, all eight clothed in contrasting, contemporary costuming. Pas de deuxs evolve between these newer cast members, replete with punctuated movements, shifting directions and innovative counterbalances. Throughout the piece, the first male quartet and the second male quartet seem to tag each other in and out of the action, connecting through a shared physical vocabulary of angular elbows, jazz shoulders, complex accents and percussive footwork. It is through these common choreographic fibers that the two distinct worlds are able to meet, converse and dialogue in this single theatrical container. Running in parallel with this connection was an equally deep sense of forward motion - going somewhere different, embarking on a new path. 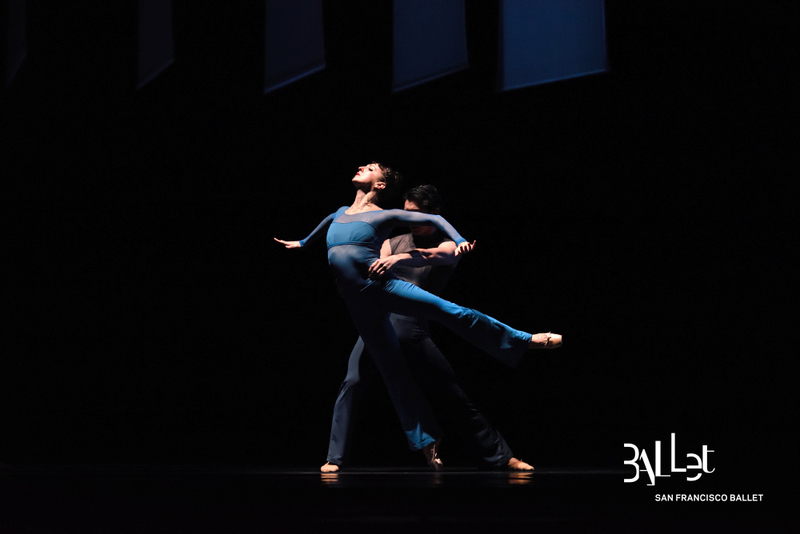 A suspended running and leaping motif reflected this intention, particularly pronounced in Fusion’s central duet, danced at this performance by Sarah Van Patten and Daniel Deivison-Oliveira. And in the final moments of the piece, the idea of convergence echoed with telling intensity, yet quiet restraint. Each of the men from the two quartets paired with their counterpart, pressing against each other in the upper torso, or perhaps more accurately, meeting at the heart. Two compelling ballets, to be sure. But all of the buzz on Saturday afternoon was centered around the premiere on the Contemporary Voices program, Pita’s Salome. A stretch limo drove onto a smoky stage. Four men dressed in black suits got out and surveyed the landscape. Once they were satisfied with the surroundings, the main characters emerged from the car – Herod (Ricardo Bustamante), Herodias (Katita Waldo) and last, Salome (WanTing Zhao). A birthday is being marked – a cake is presented to Salome, brightly colored confetti is shot from canons, and she is also given a drink. After consuming it, Salome seems transfixed and transformed, morphing into some other state of being. She solos amidst the confetti-strewn stage, the visuals conjuring Pina Bausch’s dance theater masterpiece, Carnations. A group of male prisoners is brought to her and she dances with them, always retaining her control, orchestrating their every move. Salome was a force and Zhao’s interpretation of the title character was beautifully eerie. But the real orchestrator in this scene is Herodias, who up until this point in the ballet had been seated downstage right with Herod, watching with a steely and wicked gaze. She arises and walks around the group of men, selecting a victim for sacrifice. Waldo portrayed this character with amazing precision and depth, thoroughly frightening in every instant. It is John the Baptist (danced by Luke Ingham) who she dooms, and he proceeds to dance one last solo. Long extensions in arabesque, mammoth pas de chevals and desperate leaps fill the space. You wonder - is he is trying to convince Salome to spare him or is he resigned to his fate and offering one last expression of freedom? Salome joins him in a striking pas de deux, clinging to him, wanting him to stay. Unfortunately for the couple, Pita keeps true to the ancient story. 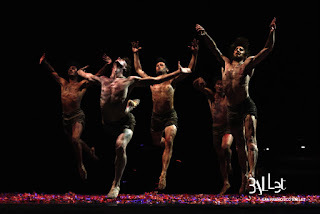 John meets a grisly, gruesome end and Salome proceeds with a dance of mourning. While there were some truly ghastly moments as the ballet concluded, Zhao had captivated and mesmerized the entire opera house. Everyone was totally silent, on the edge of their seats, completely hypnotized by her brilliant performance. San Francisco Ballet - "Must See Balanchine"
"With Ballet in My Soul"